Book a Bokong vacation package on Expedia today! This is one of the simplest ways to save cash and time for your awesome adventure. Earn savings up to C$590* when you book a package deal on Expedia. You can pick from more than 400 partner airlines and 321,000 worldwide properties on our global database of flights and accommodations. Fly with who you want, stay wherever you want — now that's the ideal vacation! If you decide to change your mind, we'll honor your cancellation request on almost all bookings with no hidden fees. Feeling excited about your trip to Bokong? Like some advice about what to do and see when you're there? That's where we can assist! Sourcing all your travel tips online is a breeze, but don't be too surprised if that "secret waterfall" isn't as secret as they say it is. For the leading things to do in Bokong, nothing beats talking to the locals. Regrettably, there aren't a lot of accommodations to choose from in Bokong. The Katse Lodge (Katse Village, Katse Avenue) is the only Expedia-listed property nearby. Working out the logistics of your trip to Bokong? Wondering where you'll be flying into? 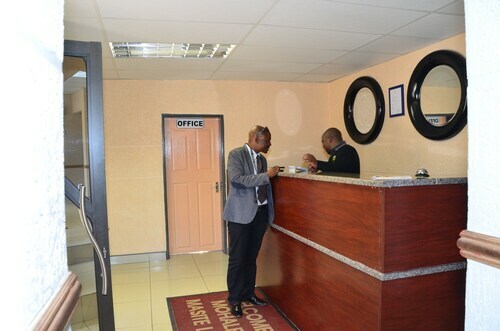 Moshoeshoe I International Airport (MSU) is your closest option. Once you've unbuckled your seatbelt and left the arrival gate, you'll be 55 miles (89 km) from the bustle of the main areas. 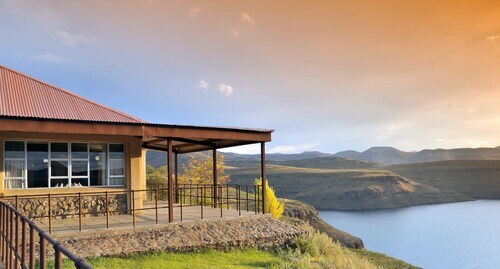 Located in the mountains, this family-friendly hotel is 2.8 mi (4.6 km) from Katse Dam. This hotel is in Thaba Tseka.